Teenagers 12-15 years old: 50% Discount. Bring with you: Dress according to weather. In Iceland, it is always wise to dress in warm, waterproof clothes. Weather changes can sudden so expect the unexpected. Bring a waterproof jacket and pants, headwear and gloves. Good outdoor shoes recommended. The total length of the tour: Approx. 7 km & difficulty level is easy. 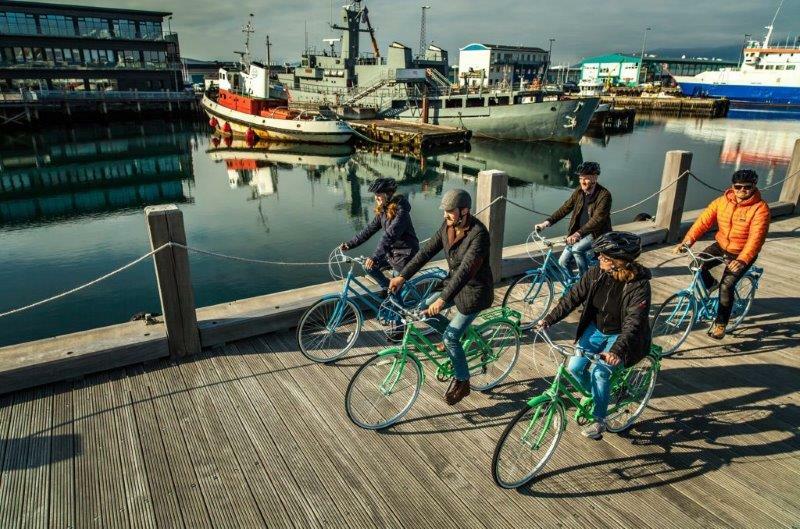 CYCLE THE REYKJAVIK STREETS AND EXPERIENCE FIRSTHAND THE LOCAL ATMOSPHERE. 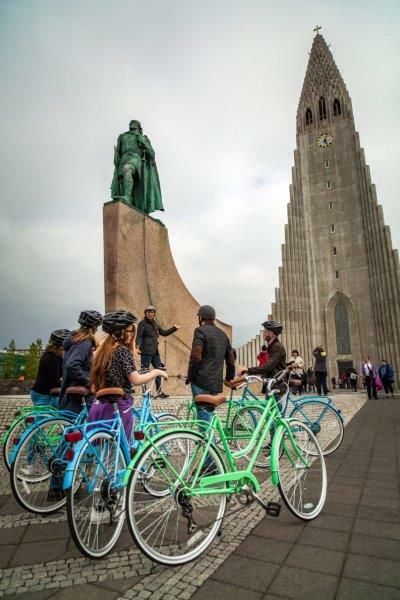 This is the classic Reykjavík Cycling Tour! 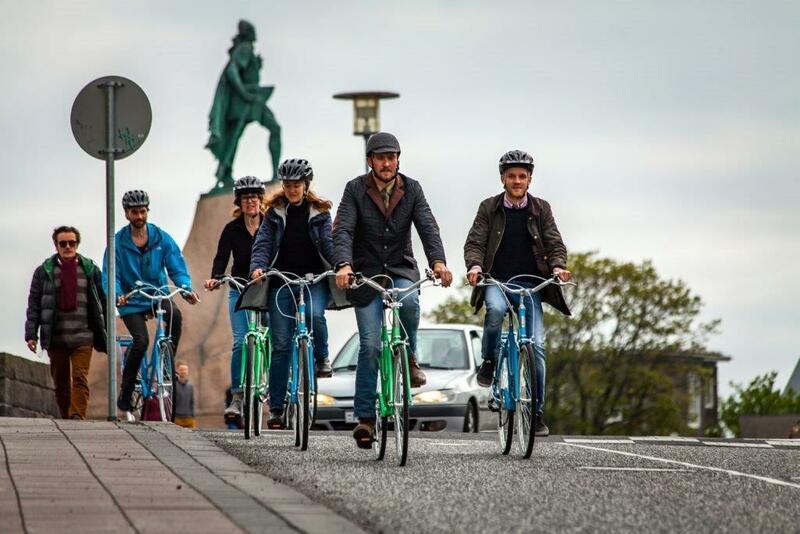 We explore the city in a comfortable, fast way that also includes some healthy exercise. The perfect combo! 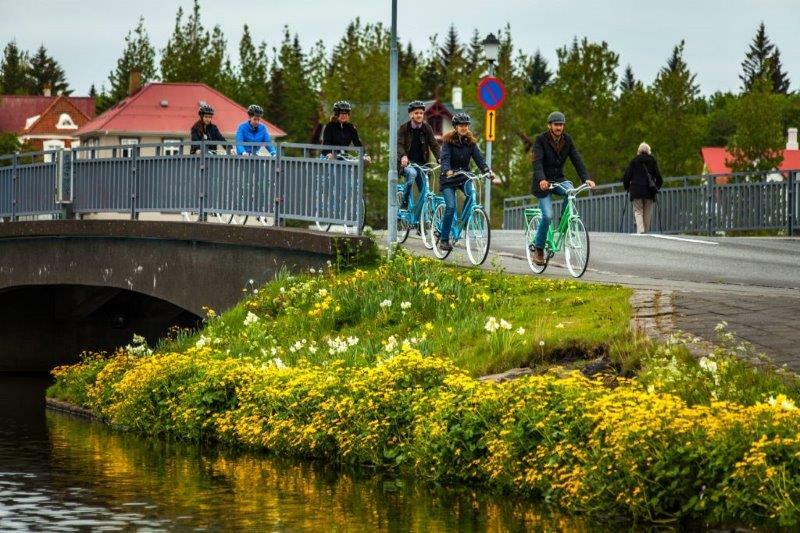 Among the places we visit are Reykjavík’s south-facing sea front, Ægissíða, the University of Iceland campus, Nordic House, Reykjavík’s Catholic Cathedral, the National Parliament building, the Old Reykjavík Harbour and the Pond. We also explore the city centre. We see how in downtown Reykjavik each house has its own roof color and how there´s a rich blending of the old and new; from old fishermen´s shacks to eye-catching ultra modern buildings. Get the most out of your night out in Reykjavík with the Cheers to Reykjavík Tour. Try at least six different local beers and Icelandic foods and learn about Icelandic culture on this super popular and hosted event.